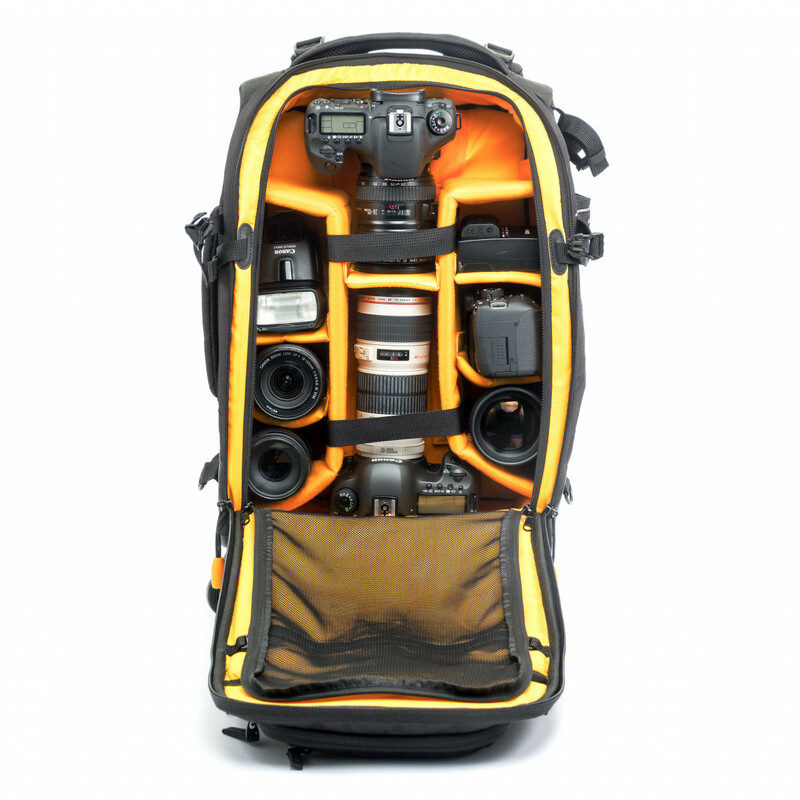 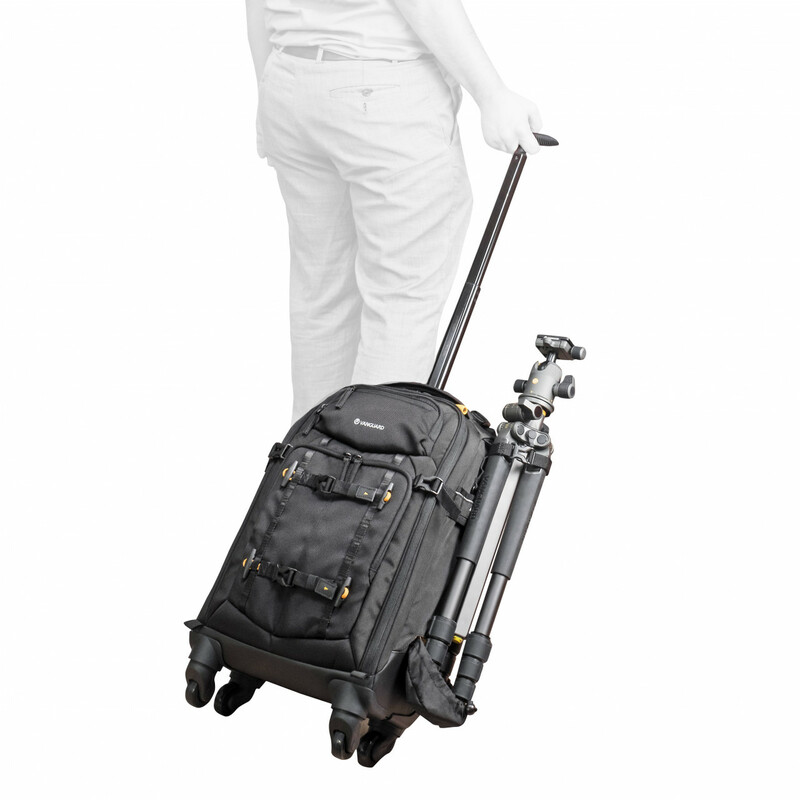 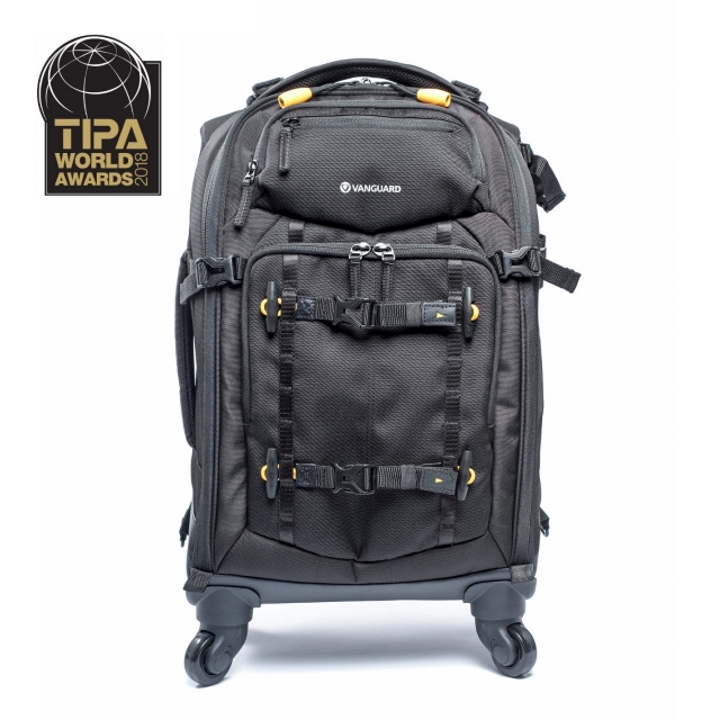 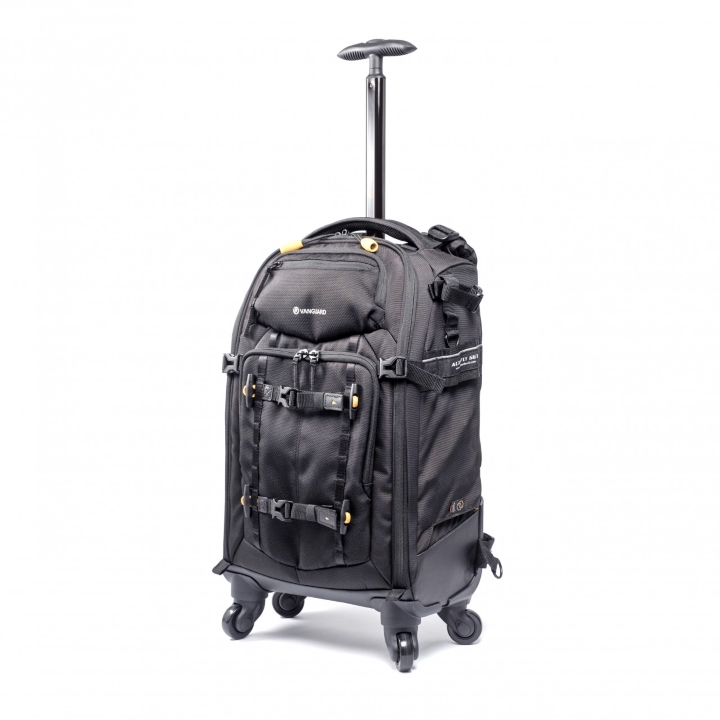 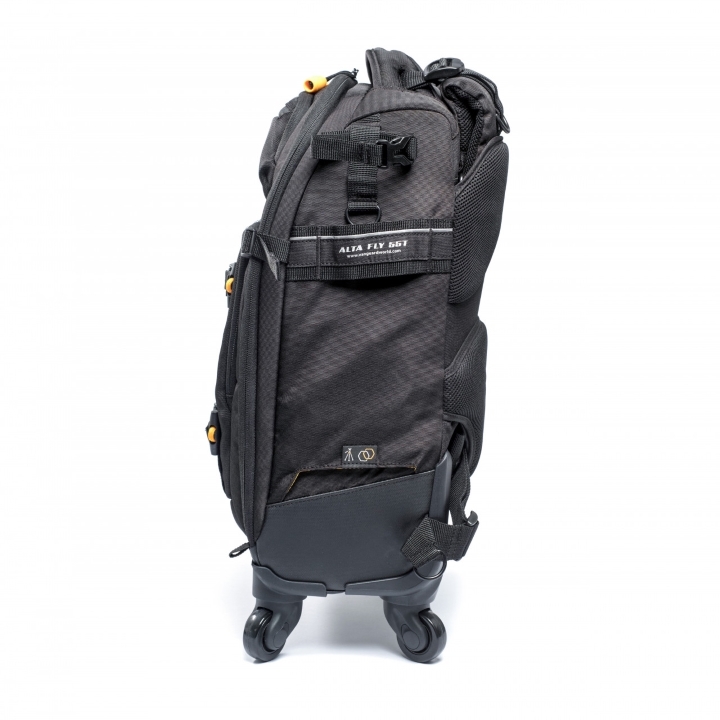 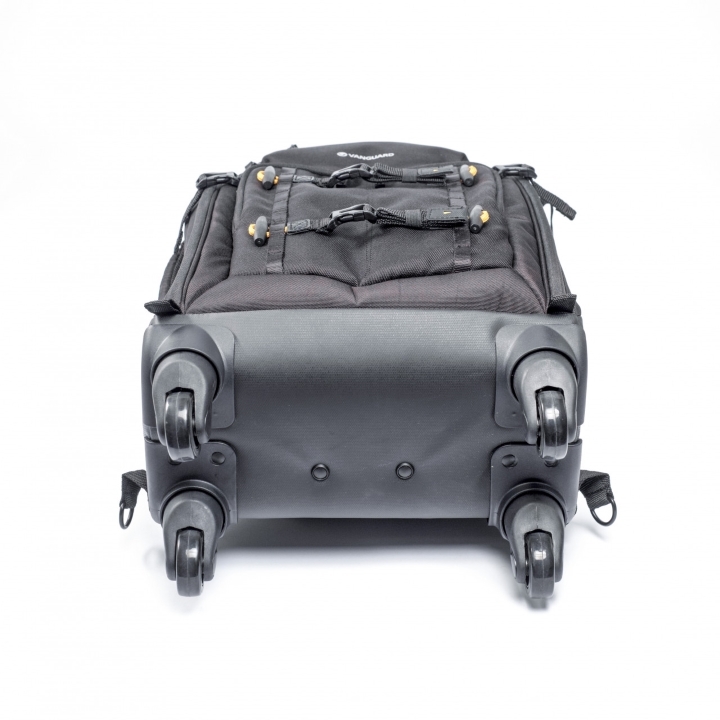 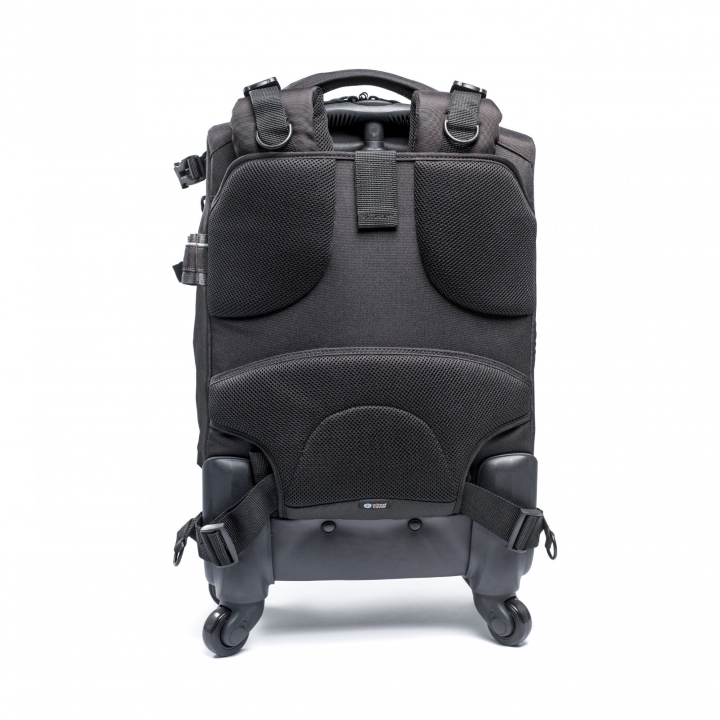 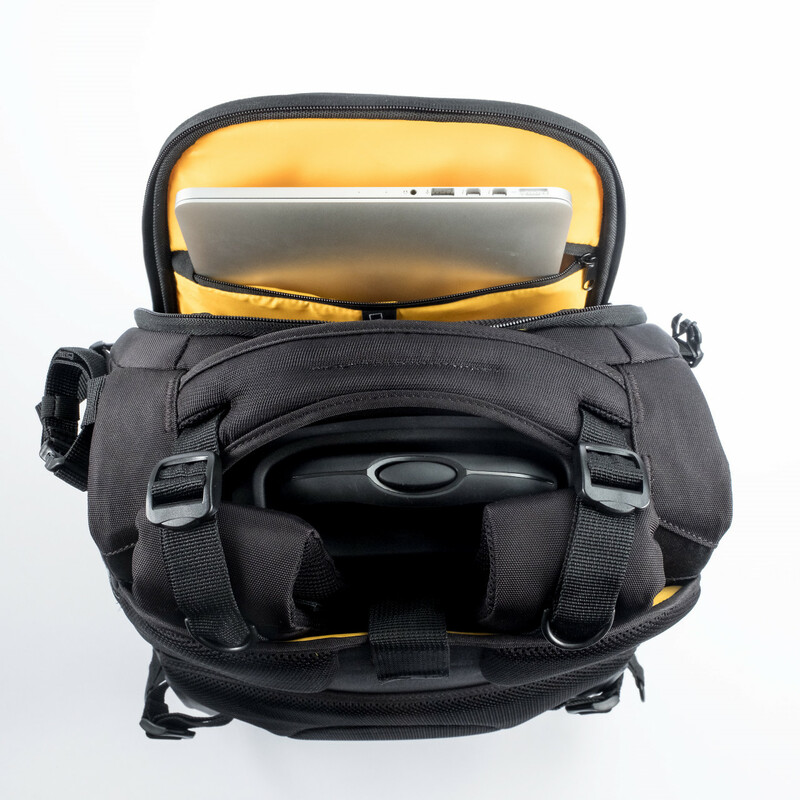 The VANGUARD ALTA FLY 55T airline carry-on*, four-wheel-trolley-backpack is designed to face the challenges professional photographers face when traveling all over the world. 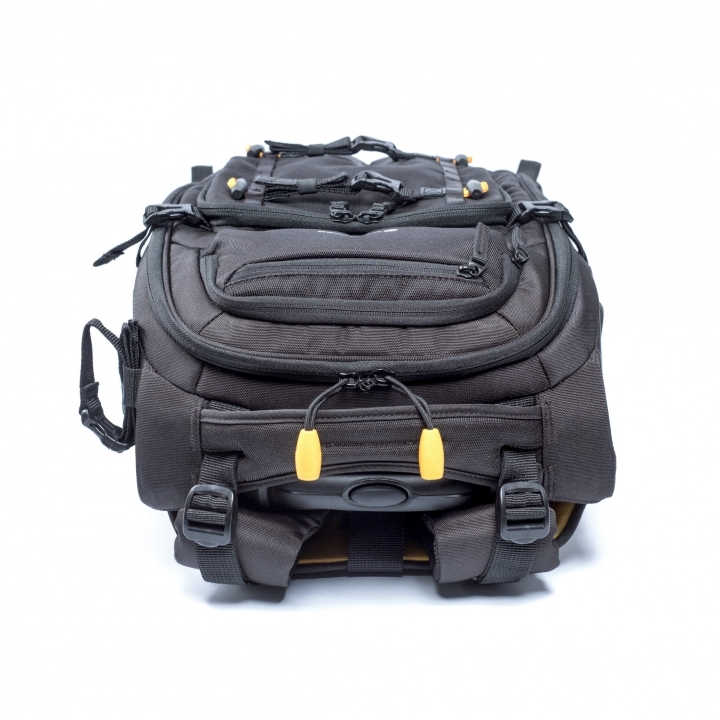 Constructed from durable, anti-scratch, moisture resistant materials, this bag is built to withstand years of long-haul wear and tear. 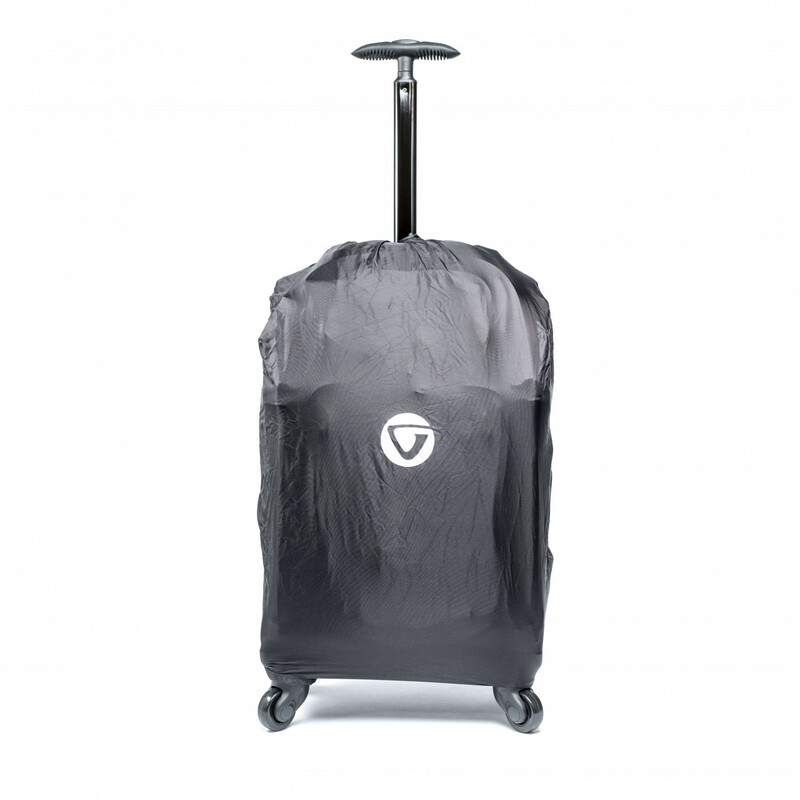 The VANGUARD ALTA FLY 55Tis an agile four-wheel trolley, with a single bar handle and sturdy top and side grips. 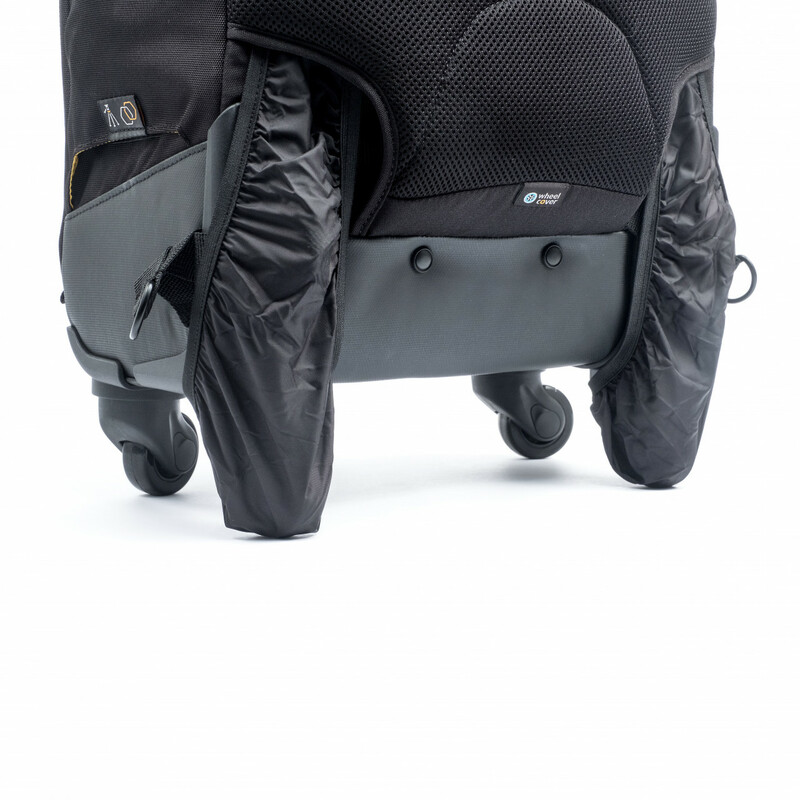 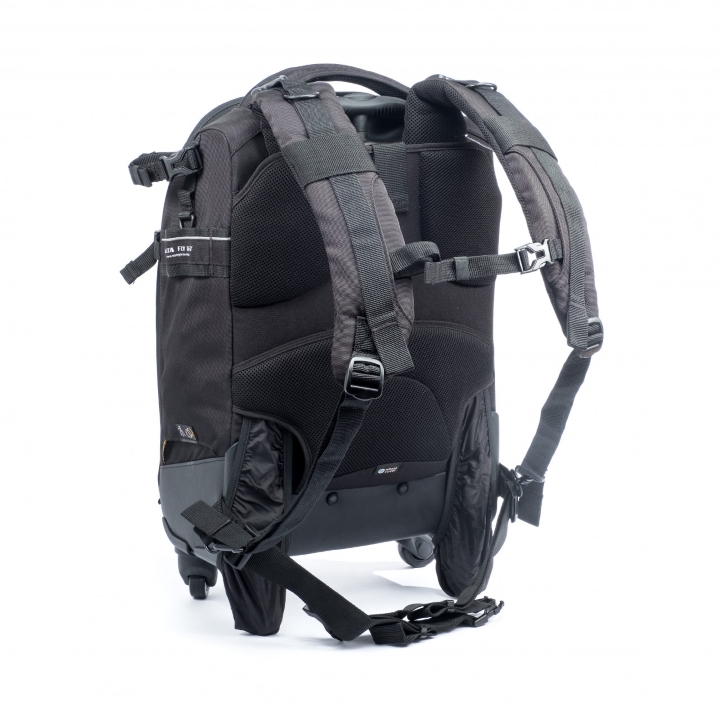 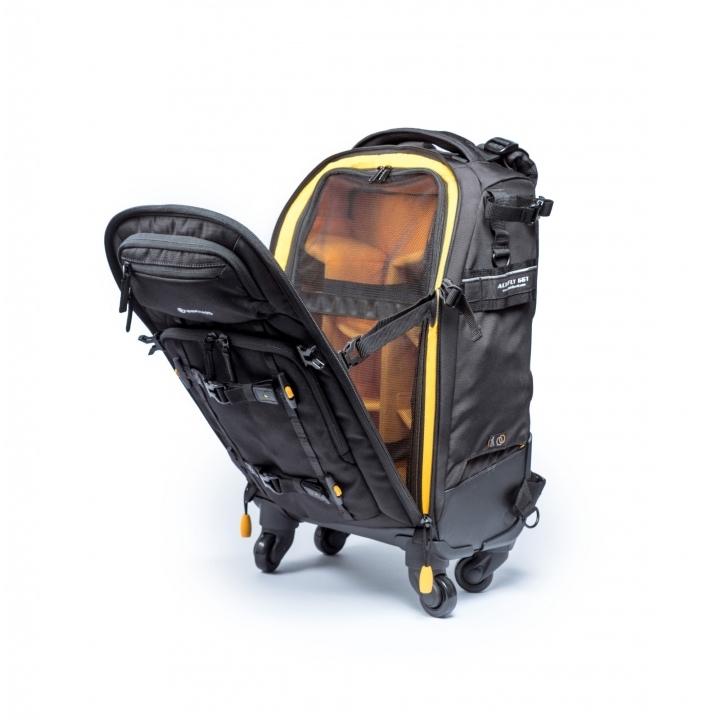 It also sports an advanced backpack harness, that tucks out of the way when not in use, and pull out wheel covers to be used when carrying on your back. 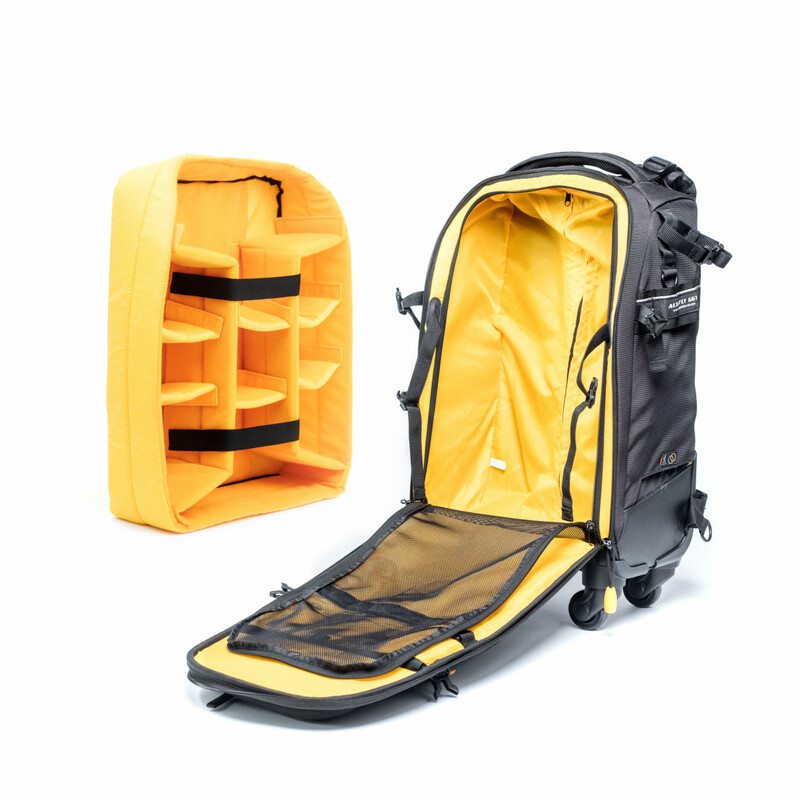 Ready for all eventualities we have reinforced the bag with durable water/scratch resistant material along the bottom and included our total coverage rain cover.